The wait is over. The Cure will return to Ireland to play their first headline show in 7 years. 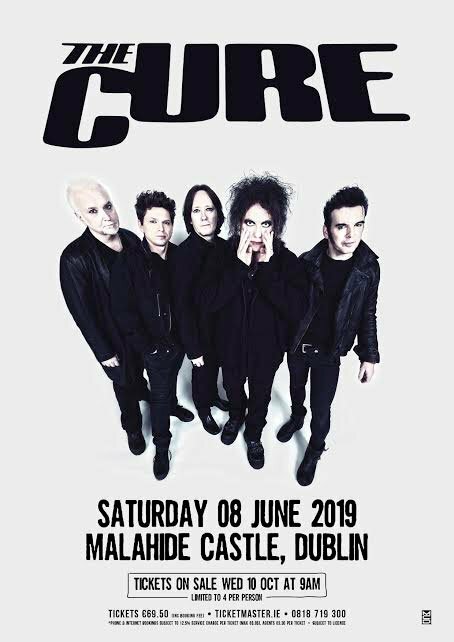 The Cure are coming to Dublin’s Malahide Castle on Saturday 8 June 2019, subject to licence. 40 years of hits and more. Tickets priced €69.50 including booking fee go on sale this Wednesday 10th October at 9am from Ticketmaster outlets nationwide. Tickets strictly limited to 4 per person. Please note that the lead bookers name will be assigned to all tickets. 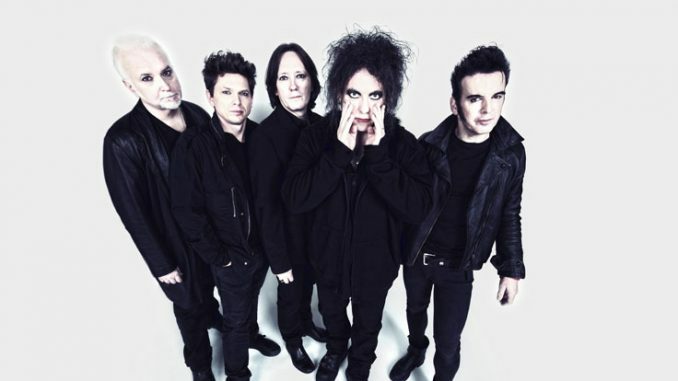 The Cure celebrated their 40th anniversary in July with a very special sold-out concert in London’s Hyde Park, almost 40 years to the day since their first ever show. Performing to 65,000 strong fans, the set list was packed with 29 hit songs including ‘Pictures Of You’, ‘Lovesong’, ‘Inbetween Days, ‘Just Like Heaven’, ‘A Forest’, ‘Lullaby’, ‘Boys Don’t Cry’ and more.